Rolling into a new year, maybe our last if you listen to some of the conspiracy nuts and their fervour, tonight Mantis Radio returns to futuremusic FM to broadcast our first show of 2012. With an exclusive session Death Abyss illuminate with their dark and foreboding session. Death Abyss are a mysterious production entity. Signed to Birmingham imprint Rodz Konez and with 2 EPs already under their belt, November saw their long awaited debut longplayer for the label be released unto the world. We travel from flame to flame. Ruling from the shadows. Rodz Konez artist roster already boasts some fine talent in the form of Makaton, Regis, Inigo Kennedy, The 65D Mavericks, Female, Paul Damage, Max Duley, Datamine, and Tomohiko Sagae. Death Abyss are despite their anonymity, keeping good company. 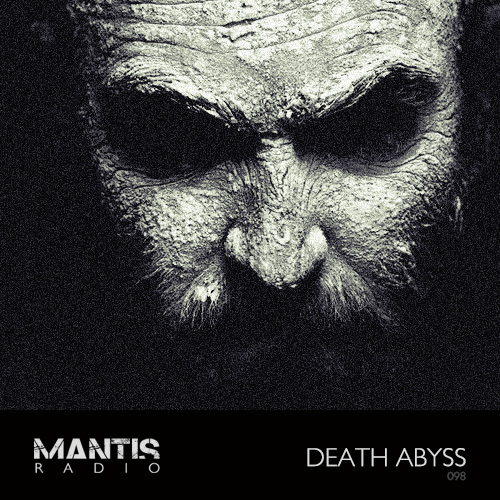 Back in November, Techno.FM had a discussion with Death Abyss. As soon as someone tries to create “Techno” then immediately they are setting limitations for themselves. This is an artistic failure, to us anyway. Many people trying to make what they think “Techno” is supposed to sound like, based upon what is currently commercially successful, or en vogue. These people are not artists. If they do not create or contribute then maybe they should be destroyed. Cast out and left to rot. Their album Dominate Through Will was one of my releases of 2011. Eleven industrially powered, fractured granite slabs of broken techno, taking in the sonic sub force that some of the better, darker and deeper dubstep cuts have done over the past few years. Gritty, distorted dank growling electronics assault you like a lazer guided sledgehammer. This is anti-sunshine sound for a mature audience; Come As A Reaper For Thus You Will Sow just one cut from an album of depth, space and thud. I’d been waiting for this album for many months and when I finally heard it it exceeded my expectations by a mile. Darkfloor through and through. Check out our Darkfloor 2011 review part 1/part 2.